Another variant that we offer to our esteemed buyers is JMB38 : 38mm Cap. Magnetic Base Drilling Machines. We are backed by a team of deft professionals who make use of the finest quality material and advanced production technology for manufacturing them as per stated industry norms. 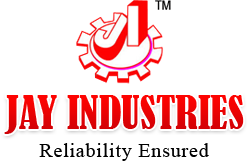 We are Manufacturer & Supplier of Magnetic Base Drilling Machines widely acknowledged for our fair price policies.